Cox Communications offers a variety of both residential (TV, Internet, Phone) and business (Voice, Data, Video) services. Under residential services, the provider offers Internet a la carte–Powerboost, Security Suite, and Email for Everyone— or in bundles. TV options are the same, i.e. 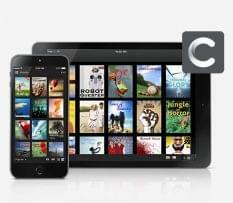 a la carte Advanced TV, DVR, HD Service, On Demand, or in bundles. Residential phone services are more specific; therefore, service depends on location. With business services, Cox offers Voice services via Digital Telephone, Centrex (full-featured voice system with cost efficiency), Converged Access (maximize bandwidth), Long Distance & Toll Free calling areas, and Business VoiceManager. Also, Data & Internet is available via Business Internet, Optical Internet, Metro Ethernet, Virtual Private Network (VPN), and Carrier Access. Lastly, Video services that help enhance customer and employee experiences. With an expansive portfolio, Cox Communication provides users with support resources to keep users informed. These resources include Glossary, Company Policies, Newsroom (Press Releases, Awards, Product Fact Sheet, Company Overview, and Multimedia Resources), and Take Charge (Tips from industry experts, knowledgebase, surveys, and more).Additionally, users can contact the provider for technical support; however, the contact method varies depending on users location. Users should also note Cox Communications’ services are not available in every state; therefore, users should consult the website before selecting a service. What Do You Think of Cox Communications?